Mahindra PMB Warranty | Contact Mahindra PMB Today! Mahindra is proud to be present in this country for over 12 years now offering our products and services to customers. We offer multiple product platforms and a variety of bakkies and SUVs both for on and off road use. MSA has a network of over 60 dealers offering sales and after sales support. A 5000 sqm warehouse with average stock of R50mil support for parts and we operate at a 97% first fill rate for parts orders. While we are all geared up to deliver good products and services, however as in any business there are occasions when an incident or an experience may not be to an individual’s expectation / liking. If such a situation arises, Mahindra SA dealers as well as Mahindra SA corporate office is always willing to step in to find a quick resolution. We have a 24 hours RSA line and also a dedicated email customercare@mahindra.co.za manned by experienced and empathetic employees such that you receive an acknowledgement and assurance of a quick review. 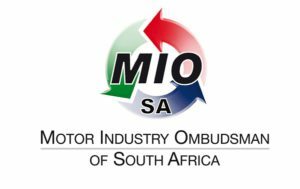 Should there be a situation where we cannot agree on a win-win solution we would respect any intervention by The Motor Industry Ombudsman of South Africa. Click here on this link http://www.miosa.co.za to go to the MIOSA website.